One of the Midwestern states, Wisconsin is located in the Great Lakes region and boasts borders with Lake Michigan and Lake Superior. Enjoying diverse landscapes and beautiful scenery is a popular spot with tourists. As well as bordering two of the five Great Lakes, Wisconsin also has borders with Minnesota, Iowa, Michigan, and Illinois. The state is known under the nickname of the Badger State and is entirely located in the Central Time Zone. The state capital of Wisconsin is Madison. It is the second biggest city in the state and has a population of around 250,000. 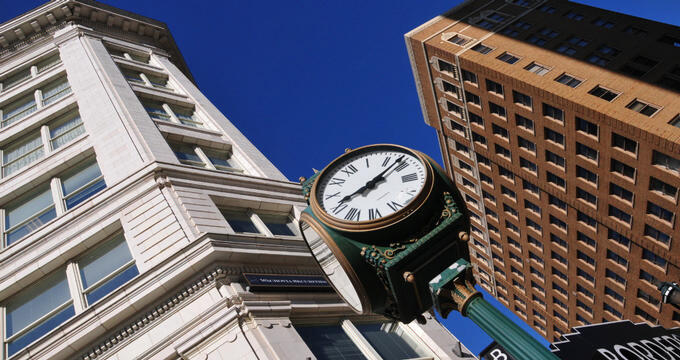 Wisconsin's biggest overall city is Milwaukee, which has a population approaching 600,000 people and is well known as the cultural and educational hub of the state. The state of Wisconsin contains quite a varied array of landscapes due to its geographical locations. The movement of glaciers during the Ice Age greatly shaped the face of the state, which contains a mixture of plains, forests, thousands of lakes, and more. The state has a humid continental climate with hot summers and cold winters with plenty of snow. Talking about Wisconsin without discussing dairy products is impossible. The state is responsible for making around 25% of all the cheese in America and is by far the leading state in this domain. It's also one of the biggest milk producers in the entire United States, second only to California. Around 25% of America's butter is also made in Wisconsin, and the state's impressive agriculture industry also extends to other produce like cranberries, corn, oats, potatoes, and snap beans. Wisconsin is often known under the nickname of 'America's Dairyland' due to its huge dairy production but is a key hub for other industries too including paper production and the manufacture of various consumer goods. Tourism is also highly popular in this state due to its rich array of lakes and forests, with outdoor enthusiasts enjoying a variety of activities including kayaking, fishing, camping, hiking, and more. Back in the 1800s, towns, and cities all around the United States relied on the sun to tell the time. When the sun passed over the local meridian, clocks would be set to midday. This meant that the time would be different by a few minutes from one town to the next and could vary greatly all around each state. As time went by and the United States prospered and developed, this system of timekeeping became increasingly problematic. It was then, in the year 1883 that the idea of introducing large time zones around the United States was introduced and established. In November of that year, the four big contiguous US time zones (Pacific, Mountain, Central, and Eastern) were introduced. Telegraph messages were sent out to all major cities on the same day, informing them how to set their clocks. From that point on, time was standardized around the US and the state of Wisconsin was placed entirely in the Central Time Zone. The Central Time Zone, commonly abbreviated to CT, covers all of the state of Wisconsin and many other parts of the US. Like the other major time zones used around the US, the Central Time Zone is split into two forms depending on the time of year: Central Standard Time (CST) and Central Daylight Time (CDT). The former is six hours behind Coordinated Universal Time (UTC), while CDT is five hours behind UTC and is used during periods of daylight savings time. Along with the entire state of Wisconsin, eight other states are fully covered by the Central Time Zone. CT is also observed in small to large parts of 11 additional states, covering 20 states in total. Central Time is also observed in around three-quarters of Mexico, as well as certain parts of Canada, some Caribbean Islands, and several Central American countries. The whole of Wisconsin, like almost all of US states, uses a system of daylight savings time each year. This period begins on the second Sunday of March and extends through to the first Sunday of November each year, with these dates being established in the Energy Policy Act of 2005. During this period of each year, WI observes CDT. For the remainder of the year, CST is observed throughout the state. Daylight savings time is used all around the US and other nations to save energy.